Nothing in this article constitutes legal advice. Please consult a tax attorney or tax professional if you have questions about minimum wage compliance. As a small business owner in the Gem State, we know you want to stay on top of recent increases to Idaho’s minimum wage in 2019. That’s why we put together this quick guide to help you get started. Payroll processing trusted by thousands. What is the minimum wage in Idaho? The state minimum wage in Idaho is $7.25. This is the same as the federal minimum wage, which has not changed since July 2009. Idaho is one of 21 states that follow the federal minimum wage. Idaho employers can pay a new employee who is under 20 years of age a training wage of $4.25 per hour for the first 90 days of employment. Employers can pay full-time high school or college students 85 percent of the Idaho minimum wage (or $6.16 per hour) for up to 20 hours of work per week at certain jobs, like work-study programs at universities. Employees who are considered exempt under the Fair Labor Standards Act (FLSA). Federal contractor employees, who must be paid a minimum wage of $10.60, effective January 1, 2019. What’s happening with the minimum wage in Idaho beyond 2019? The Idaho state legislature is not currently considering any bills that would increase the minimum wage. A 2018 report from the National Low Income Housing Coalition found a disparity between the Idaho minimum wage and the average cost of rent. It would take two full-time, $7.25-an-hour jobs to afford a fair-market rent of about $800, according to the report. How should small business owners prepare for minimum wage increases? Right now there are no plans to increase the minimum wage in the near term. However, state lawmakers have raised the issue in recent years. 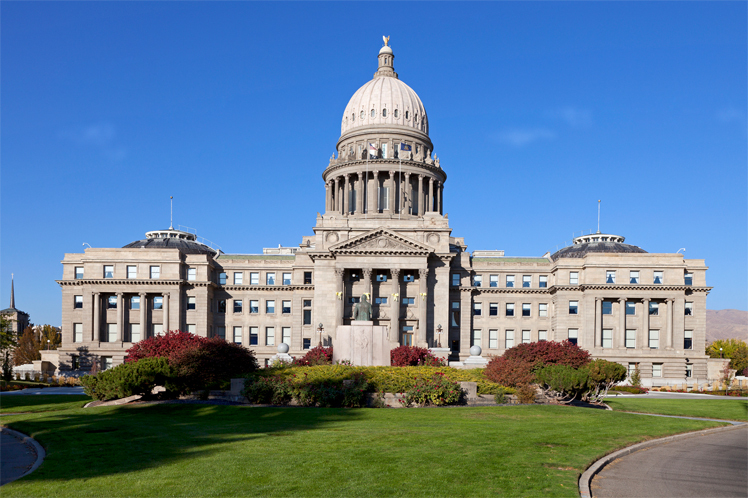 In 2016, the Idaho House voted to ban local governments from raising the minimum wage by instituting ordinances or introducing ballot initiatives. Supporters of the bill said the legislation was intended to keep laws uniform across Idaho. In 2017, State Rep. Mathew Erpelding introduced a new bill that would raise Idaho’s current minimum wage of $7.25 an hour to $8.75. Wages would continue to rise incrementally until they reached $12 in July 2019. However, the bill did not become law. Idaho’s minimum wage has remained the same for 10 years, but it’s a good idea to discuss minimum wage law with your accountant and lawyer, to ensure that you remain in compliance. Evaluate your staffing: Take a look at your hourly, weekly, and monthly sales to determine if your current staffing levels are appropriate. Based on those sales and the rest of your finances, make a plan for any future hiring. Maybe you need to add a new full-time employee each year. Or maybe your sales are seasonal and hiring contract employees during your busy seasons makes more sense. Hire the best: Hiring the right people is always important, but doubly so when you operate a small business. So take your time and cast a wide net when recruiting new employees. And once you have your team in place, make employee retention a priority by offering them benefits and a path to growth and development in order to make your business a more attractive place to work. Upgrade your technology: When you automate complicated, time-consuming aspects of management, like payroll, you can spend more time focusing on issues like staffing and growing your business. Pay your employees with a couple of clicks. Square Payroll imports your employees’ timecards, calculates overtime, and handles taxes so you can pay your team faster. Each issue will feature articles and advice on how to grow sales, improve your marketing, simplify accounting, and much more.